We are off to a running start here at Perez & DuBois in 2014. As we make plans for this New Year, Jason and I took a moment to reflect on the year behind us, and we are thankful. 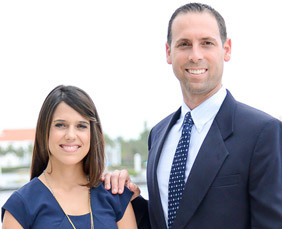 During 2013, we had our first baby, Eva Jolie DuBois and also officially launched our boutique real estate business, Perez & DuBois Real Estate. We birthed a baby and a business, one week apart! We could not have done it without YOU. Our friends, family and those of you who were among our first customers. We want to say THANK YOU for your business. Thank you for trusting us with your real estate investments, home purchases and/or the sale of your home. We are truly grateful for the trust and the referrals. While it may have seemed like a lot at one time to start a family and a business , my and Jason’s personal way of making relationships is a natural reason to start our company. We both know that life is about faith and calculated risk, and when it is time, it is time. And it was time! We are so grateful to be able to match up our love for people and relationships with our vocation. One of the many things we have enjoyed and is also a core component of our business philosophy is partnering with other entrepreneurs and business leaders in our community to help build and support the many philanthropic efforts and projects throughout Palm Beach County that help children and people in need. Service and giving back is truly a part of who we are. We hope to do business and serve alongside of YOU in 2014. Let’s make the year ahead a fruitful one together.